Terminix was wonderful quick response got someone to my house right away! The representative Charlie Carrow was wonderful he told us the truth and helped us gave us advise he was just all around just a great person and very helpful. He was so friendly and explained everything and if I didn"t understand he would explain some more. He made sure we fully knew what we were paying for! Thank god he came as fast as he did because he found mold under our new house that the home inspector neglected to tell us!! Could have ended up very badly if we didn"t call them! Great company with great employees! 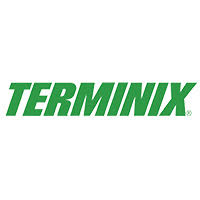 Terminix is a good company thank you for a great service. Appreciate MY Terminix fella for taking care of our scheduled needs...YOU ROCK!!! Angela B Carter, McDonald, NC. You guys so rock!!! Unlike that other one. I was killing mice with my traps. Haven't seem any rodents or bugs since Ive changed to Terminix. The intake guy was thorough, explained the process ckearly and concise. Your service men are always courageous and professional. I'm happy i made the switch. Thank you Termnix because you are truly home defenders. I am very pleased with Terminix services. The employees especially Wilbur and Justin are very knowledgeable, courteous, and personable. I can't forget about Charlie. He is also unforgettable just as the other two. Great service however a little pricey for what you get. I was very impressed with Charlie Carrow presentation. He explained everything in great detail concerning my moisture problem under my house.. He was very professional, polite, and friendly.. It's always a pleasure doing business with a company that has professional employees working for them... And Mr. Carrow exceeded all of the above... Thanks again, for your service Mr. Carrow. Frank, our Terminix service technician in the Lumberton area, is outstanding. I have just started using this company and I am quite satisfied. Thank you for making things understandable and standing behind your work. I would recommend your company to anyone needing the services you provide. Thank you again. I have had the best experience with terminix.I recieved much more then I expected.The wonderful gentleman Charlie Carrow that took care of me was very informative,personable,and trustworthy.I can tell his management and buisness skills is why he works for such a great company.I appreciate him and all the guys that worked on my moisture problems in my crawlspace.I highly recommend terminix.Thanks again for all you done. Service was fast and efficient. Charlie was great. Techs were very professional and knowledgeable. Completed the job timely. Also very polite and respectful! I am very happy doing business with Terminix. Very satisfied with the service you give. Justin just did our moisture check. He came in and introduced himself. He explained what he was going to do and proceeded to do it. He was friendly, courteous, and professional at all times. I hope we get him for all visits. As always super excellent job for sure. My says just outstanding. We are very satisfied with your service. Keep up the good work. I probably need a r e service before the quarter is due. Please schedule an appointment. I was very impressed with Charlie Carrow. He took time to explain to me what was going on under my house. He explain the best solution to solve the problems. He took time to listen to my concerns. He answered every question I had for him. Very Friendly and polite. Glad I called Terminix. I received prompt and excellent service from this company. Would definitely recommend them. Justin Locklear was very amazing by explaining my contract to me and not only was he good at that he went out of his way to make sure everything was done right and made sure my needs was met. So yea Terminix is the way to go pest free. Justin Guyton was very nice and professional. Always happy with services.Technicians are always pleasant and take the time make sure we are satisfied. I’m very happy with the work of the man that came to my house and he explained everything step by step. The exterminator that responded was pleasant, courteous and explained everything that was being done. Terminix is awesome! They have always scheduled resprays immediately and have great employees. I am extremely happy with their service. I have been recommending them to all my friends. Keep up the great work!!!!! Your service is good but, your prices are a little high. So far, no sign of any pest. Thanks for making my life better, knowing those destructive pest are not active keeps me happy! I have 2 properties and receive good service. Associate called ahead of time to let me know he was running late! He arrived as scheduled and performed all services!! Very happy with Terminix!!! The service provided was professional as expected. The Inspector of termite traps indicated that some activities were noted and additional termites traps are needed due to the addition to our pack yard. The inspector told us that he will be calling us back for an appointment to add the additional termite traps. We can be reach at 954-483-7913.